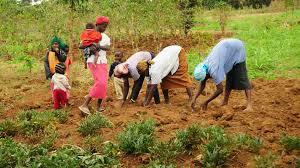 Federal government urged to plug leakages in agricultural sector – Royal Times of Nigeria. As part of measures towards ensuring economic revival in the country, the Elerin of Adanla Kingdom, Oba David Oyerinola, has enjoined the Federal Government to plug all leakages associated with the agriculture value chain in order to realize its full potentials. Oba Oyerinola, who is also a lecturer in the Department of Economics, university of Ilorin, noted that recession is a global phenomenon, pointing out that a mono product- based economy like that of Nigeria will always be susceptible to economic recession due to the fluctuation in global oil market prices. Doctor Oyerinola, who said Nigeria must embrace diversification through the development of its agricultural potentials as well as its mineral resources, pointed out in order to get out of its current recession. He noted that Nigeria is endowed with arable land that can grow ninety percent of the foodstuff that the nation is importing. As reported by our correspondent, Olarotimi Oshin, the monarch urged the federal government to be committed in the monitoring of the disbursement of funds to the agricultural sector.